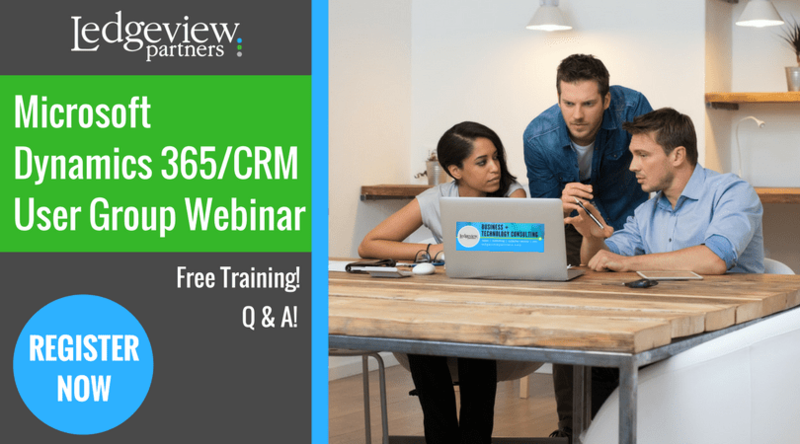 As a user of Microsoft Dynamics CRM you are always looking to improve your skills, efficiency and use of CRM. 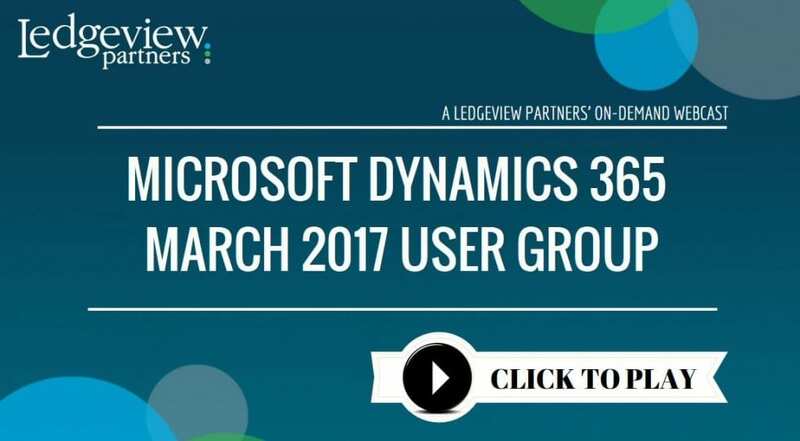 In our monthly Dynamics CRM User Group 30 minute webinars we will answer your questions on how to use specific functionality within Dynamics CRM (“How Do I…”) but also provide insight around specific features each month like Advanced Find, Dashboards, Sales Process, Activity Tracking and More. You do not need to be a customer of Ledgeview Partners to participate! Karen Bebow, Information Systems Manager, Powell Fabrication & Manufacturing Inc. 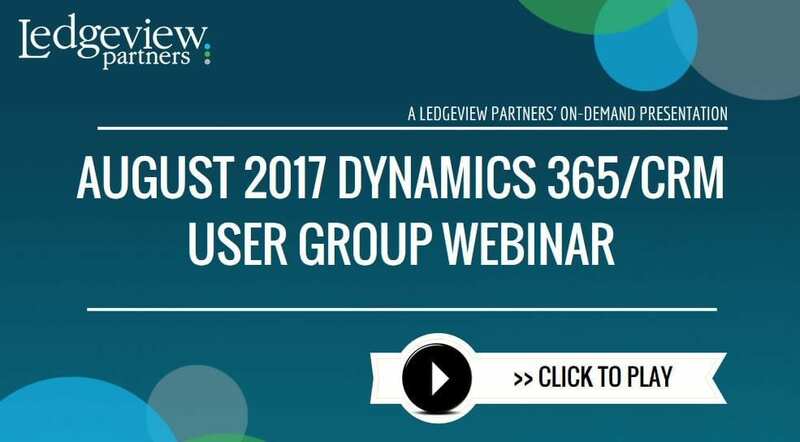 In this User-Group webinar, we help you learn about Read Auditing and Data Imports. 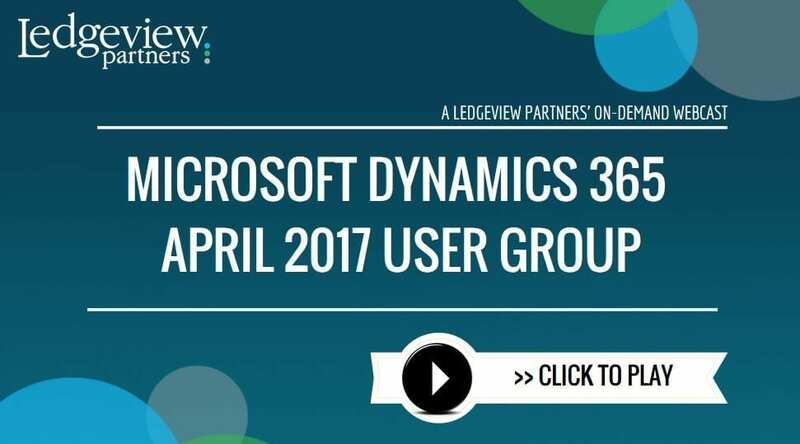 In this User-Group webinar, we help you learn the basics of Dynamics. 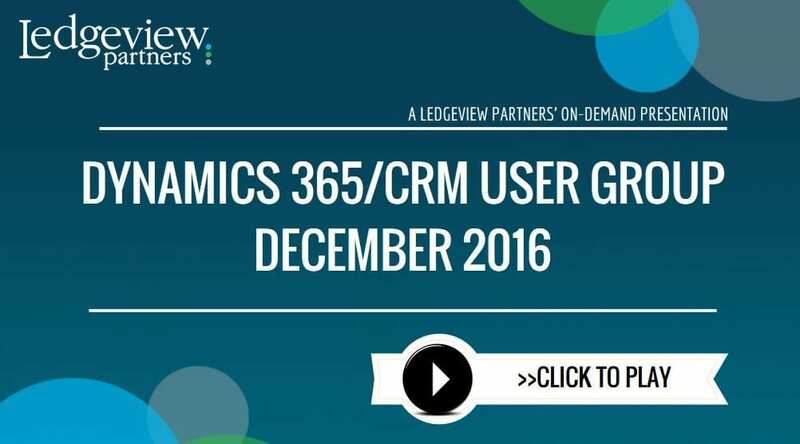 In this User-Group webinar, we help you set your “Dynamics New Year’s Resolutions”. 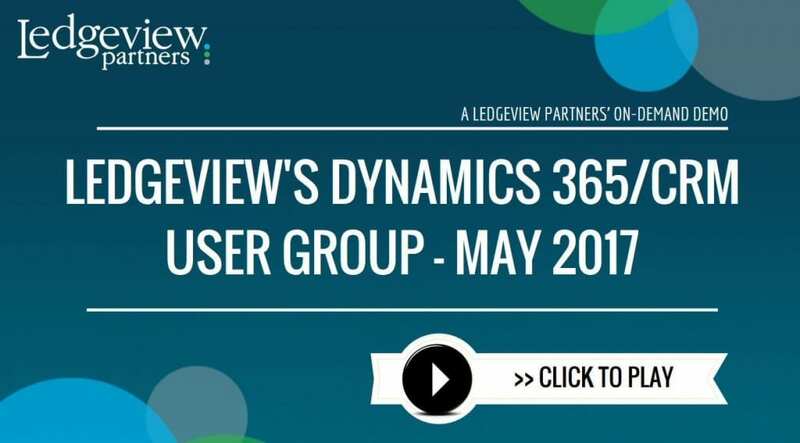 In this User-Group webinar, we give you “Best Practices for the Advanced Admin”. In this User-Group webinar, we give you “Best Practices for the Beginner Admin”. 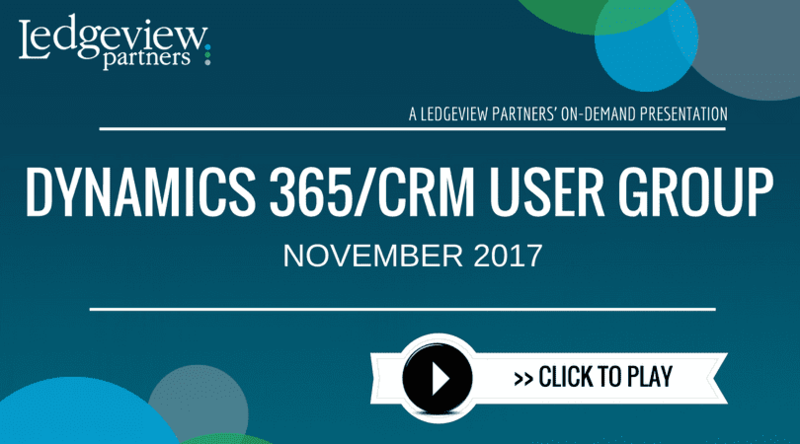 In this User-Group webinar, you’ll break the surface with Ledgeview on What’s New in the Microsoft Dynamics 365/CRM October Release. In this User-Group webinar, you’ll learn all about the Workflows vs. Microsoft Flows. 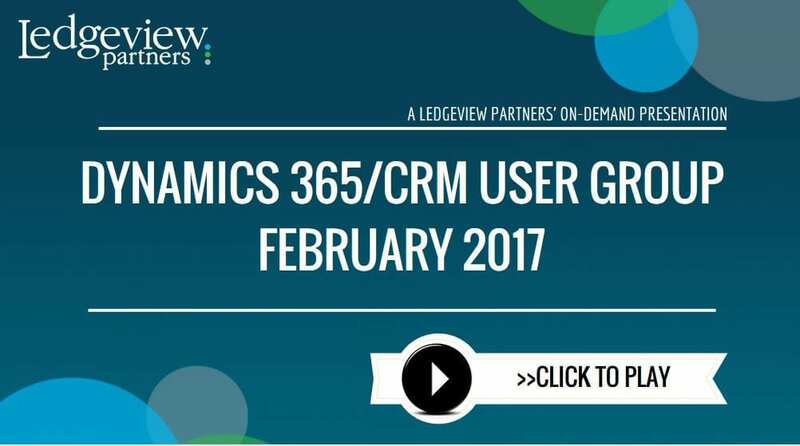 In this User-Group webinar, you’ll learn all about the Voice of the Customer. In this User-Group webinar, Ledgeview will show you how to effectively use Reports in Microsoft Dynamics 365/CRM. 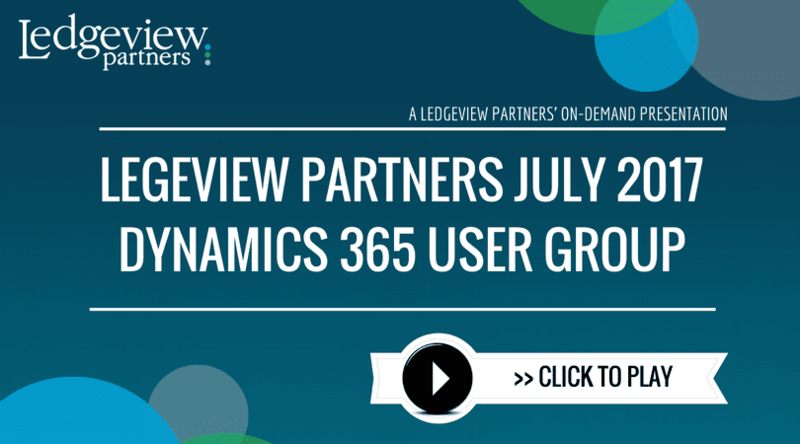 In this User-Group webinar, Ledgeview will show you exactly how Business Rules can be applied. Have you upgraded to Dynamics 365? What is an Activity Feed, Configuring Activity Feeds and Creating a Custom Auto Post.